Since 2004, Professional Selection Services LLC, a woman-owned and operating professional staffing firm, has specialized in solving staffing challenges for companies throughout the United States. We are proud to offer compliant recruitment, screening and selection processes utilizing high-level expertise and technology while delivering a vibrant and diverse workforce to accommodate all of your staffing needs. Professional Selection Services does not take a single solution and apply it to all of our clients, as we approach all client needs as unique. We know from experience how local and regional labor markets impact staffing, and that one size does not fit all. As your staffing vendor, PSS will tailor recruiting and retention plans specific to your open positions to ensure they are filled with the most qualified and capable candidates. 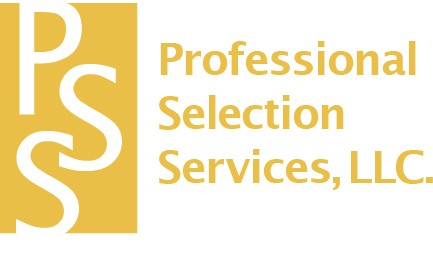 Professional Selection Services has access to a vast talent pool of exceptional candidates to fill all of your positions, from clerical to high-level management professionals, and everything in between. Our clients choose PSS to establish quality and credibility of candidates, and to separate excellent from average performers. Let PSS help you find the best candidate to complement your team.